When we first heard that Rogue One would be the first Star Wars not getting a sequel, we were kind of bummed. After all, the Rogue One trailer is awesome. Can you blame us for wanting more? On the other hand, it is pretty cool that the new Star Wars will be a self-contained flick. Especially since that means we won’t have to wait years to have all our questions answered — everything will be right there in the film. It doesn’t hurt that the movie’s star, Felicity Jones, is also totally on-board with the idea. 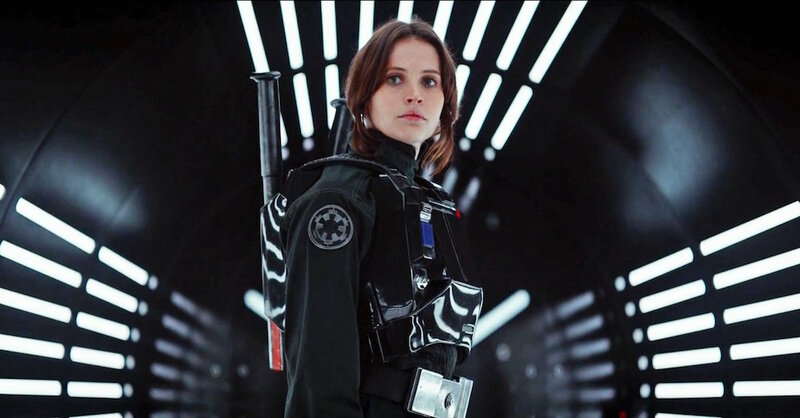 According to The Toronto Sun, Felicity Jones is totally fine with Rogue One being a one-off. "It's quite special," she explained about the stand-alone story. "These films are auteur-driven movies. There's not a whole list of rules that they've got to conform to. It gives everyone a lot of freedom. It's quite wonderful that there's a real hands-off approach in terms of the esthetic and really letting the director dictate the tone." We’re also privately hoping that Rogue One opens the doors for other one-off Star Wars stories down the road. After all, building a trilogy around less well-known characters can be a hard sell for a studio. But if you’re talking about a single movie budget, that’s a lot easier to take a risk one. BTW, Lucasfilm/Disney execs, if you’re listening: We want a Mara Jade film! At the end of the day, we’re all just excited to see more of one of our favorite cinematic universes — whether it’s as part of a trilogy or not.